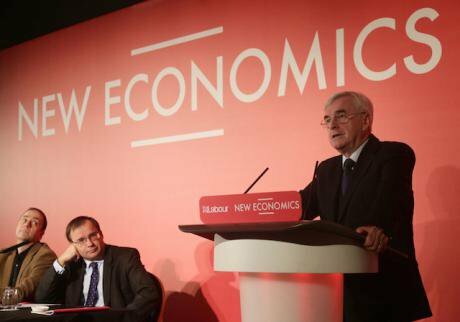 UK Shadow Chancellor John McDonnell speaking on alternative models of ownership, February 2018. Yui Mok/Press Association. All rights reserved. To start with what’s agreed, we all take the Hard Right for a threat to be resisted. We all think its rise is due in big part to flaws and failings of democratic liberalism. So far, so good. Things then slide out of tune. Zielonka wonders if there’s one Hard Right and whether calling for common resistance doesn’t anyway underplay how deeply liberals and left differ. Barnett and Ronchi imply that democratic liberalism – or to use the commoner name, liberal democracy – needs replacing, not repairing. Sandel thinks that a liberalism grown tepid and mechanical needs fresh “identity, meaning and purpose”. Cruddas, in like spirit, calls on progressives for renewed “moral purpose”. Surer about what liberalism is and what it offers, Tallis calls for less timid salesmanship. Those differences can’t be blurred or denied, but I don’t sense they’re deep. They’re more to do with where we’re coming from and how we talk about the same set of facts. We’re close, or close enough, it seems to me on essentials: on what liberalism is and isn’t, on how liberalism is failing and on how much tougher liberals ought to be in their own defence. If I’m wrong, the disagreements will at least be clearer. We need a better grip on who liberals are. If being a liberal means being a neo-liberal devotee of low taxes, unregulated markets and cowed, feeble government, then for liberals to appeal to the centre left let alone to the hard left is clearly daft. If, to invoke two muddled categories, being a liberal means being a philosophical individualist or a zealot for liberty, then we’re talking about a doctrinal sect, not about the actual mainstream of post-1945 Western politics. Liberalism can’t be so travestied and mislabelled. Treating liberals as if all of them were neo-liberals or libertarians is polemical caricature. Treating liberals as if all of them were neo-liberals or libertarians is polemical caricature. Liberalism can’t be so travestied and mislabelled. Is liberalism, so understood, the plausible core of resistance to the Hard Right? A clear answer requires another term, democracy. It’s often made to sound as if liberalism and democracy entailed each other. They don’t. You can be a liberal without being a democrat (and vice versa). Most liberals to begin with weren’t democrats. The right-wing kind still aren’t. Liberalism’s a “what?”, democracy’s a “who?”. Democracy’s about who gets the protections and permissions liberalism offers, few or all. Democratic liberalism is liberalism for everyone. It’s an ideal, not a fantasy. After 1945, Western societies took measurable steps towards the ideal. Although progress on diversity and personal freedoms kept up – think of Ireland this past month – progress on economic fairness slowed or halted in the 1970s-80s and has yet to recover. On that understanding, then, yes, democratic liberalism – liberalism for everyone – can be the core of sustained resistance and not, as Zielonka has it, “an accidental cocktail”. Democratic liberalism is liberalism for everyone. It’s an ideal, not a fantasy. Democratic liberals don’t have to “rethink” what they stand for, if rethinking means revising or ditching their ideals. The problem isn’t the ideals but a failure to pursue them, a neglect of responsibilities which has abetted social disrepair. The hard work now will be thinking how to pursue liberal ideals – human progress, civic respect and resistance to power – on behalf of everyone, not just a lucky few, in unfamiliar, fluid and often unpropitious circumstances. Zielonka is right that policy matters. There’s no universal, all-purpose repair. Still, the flavour of an answer to his query – can liberals and left cohabit? – is available in the British example. Any half-awake liberal will favour Labour’s tax-and-nationalisation package over the steady, ruinous campaign of an undemocratic right to turn the nation into a poorer Texas. Centrist opinion is shifting. Exaggerating the liberal v left gap on economics is out of date. Exaggerating the liberal v left gap on economics is out of date. To Barnett and Ronchi the remedy for democratic liberalism is replacement, not repair. The difference feels verbal. The task honest liberals have in mind isn’t “a reversion to the 1990s with some repairs”. Shoring up democratic liberalism will take sustained change over decades in many domains – tax, health, education, housing, local democracy, corporate regulation – together with a large shift in mentalities, notably in restoring the prestige and authority of government. It has happened before. Think of the New Liberalism in the 1900s. Think of left-liberalism after 1945. Is repair now impossible? Reason exists for thinking so, but it’s not compelling. Liberalism presumes capitalism, which is transnational, whereas democracy is national; liberal capitalism is therefore bound to escape democratic control. So runs the argument, but it’s wrong, as the European Union shows. The EU facilitates capitalism with some rules but constrains it with others – hardly evidence that controlling capitalism transnationally is impossible. It depends, as ever, on the politics. You can, of course, insist that even radical repair on a scale now required is simply a temporising dodge to prop up capitalism. Perhaps it is. But without even the sketch of a ready alternative, repair is good enough to be going on with. To sum up, democratic liberalism badly needs fixing. The task falls most naturally to its originators, liberals and left. They have a common enemy in the Hard Right, which is neither liberal nor democratic and will make all our problems worse. It varies by country, as Zielonka rightly notes, but in the US and Western Europe at any rate, the Hard Right is everywhere an aberrant coupling of undemocratic libertarians and illiberal nativists backed by ordinary conservative voters fed up with existing right-wing parties and, on victory, by business eager for low taxes and deregulation. Incoherence may destroy the Hard Right, but we shouldn’t bet on it. Incoherence may destroy the Hard Right, but we shouldn’t bet on it. Liberals have, or had, something democratic to defend of which they could be proud. Somewhere clarity and pride went missing, as Sandel and Tallis each observed. The implied message is welcome: in defending their values for everyone, liberals ought to be clearer, tougher and less mimsy. Cruddas is correct that moral purpose matters in politics, but it doesn’t follow, and I don’t think he meant to imply, that “technocracy” (effective, well-equipped modern government) and “morals” were somehow at odds. Liberalism, properly understood, is moral all the way down. To take just one example, respecting everyone, whoever they are, is as demanding as it gets. Cruddas is correct, too, that liberals and progressives must not neglect patriotism. Here again, it’s morals all the way down. A patriot takes pride in their nation, and feels shame when it fails to live up to its ideals. Of course, those ideals will be argued over and contested. Liberal diversity allows, indeed, demands such argument. Cruddas calls it the argument about “the way we wish to live”. A different way to put that would be argument about “the way we ought to live”. There, too, it’s morals all the way down. In a diverse society, some are bound to wish to live one way, others another way. The thing is, they have to live together. Unless the “we” returns a surprising and suffocating unanimity, the best we can do is agree on ground rules for how to live together while disagreeing about how we ought to live. The Enlightenment learned that lesson from centuries of religious warfare and intolerance. It’d be bad to have to relearn it again. In reacting to the shocks and upheavals of the recent past, liberals, especially left-wing liberals, have paid too much attention to rage on the edges of politics, too little to the frail and shoddy anti-liberal ideas for which that rage is fuel. Batting away those ideas would be a first step – the easiest step – towards a daunting task of repair.